Mail days are the best – and sometimes you get an unexpected surprise! 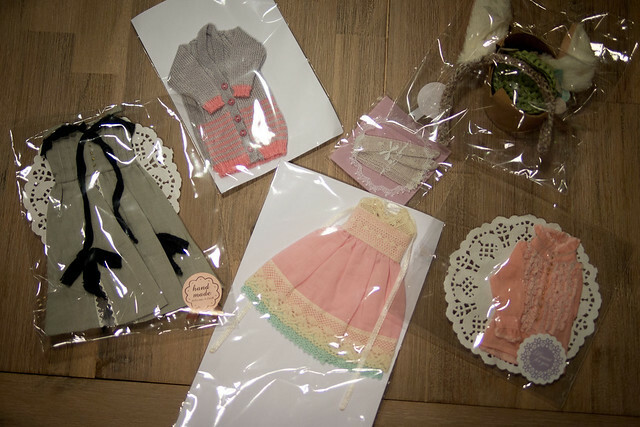 I say unexpected because I ordered these lovely clothes from Jiajia Doll some time in January, and they just arrived now (mid-late April!). This is probably my main complaint with the order – that it took so long. When you receive the clothes though, you have to understand due to the detail that is put into them. Jiajia makes the stock to order, so she does not have any on hand. I finally had some time to take some photographs of Bianca Pearl recently. Bianca Pearl is a limited edition CWC exclusive released in September of 2014. She was a major wishlist item for me, and it was only when I found her on Yahoo Japan for a (ridiculously) good price, was my lemming finally healed. She arrived, packed and perfect (I could not find the dent the seller was speaking of) in her pretty little box. I was browsing Yahoo Japan one day when a broken Pullip Varele showed up for around AUD$20. I couldn’t resist. I snapped her up, and she arrived bald, with half an eyebrow sanded off. I mean, in my mind I do designer artistic things for a living, so how hard can doll customisation be? 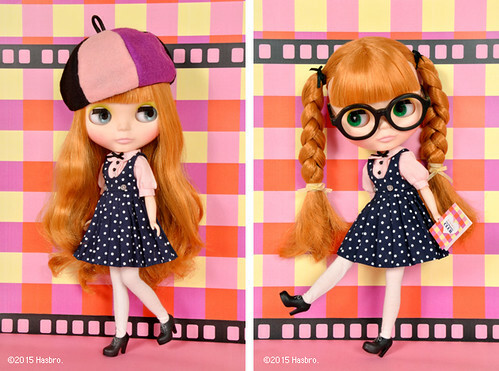 I was so happy to see when I woke up today that the Blythe Doll Les Jeunette has had her promo pics released! She’s a bit of a cutie with her polka-dot dress! Her boots are a lot like Curly Blue Babe’s (ankle boots are so in now) and she sports a pair of thick-rimmed glasses. So I have to admit that I have a bit of a soft spot for animal hats. 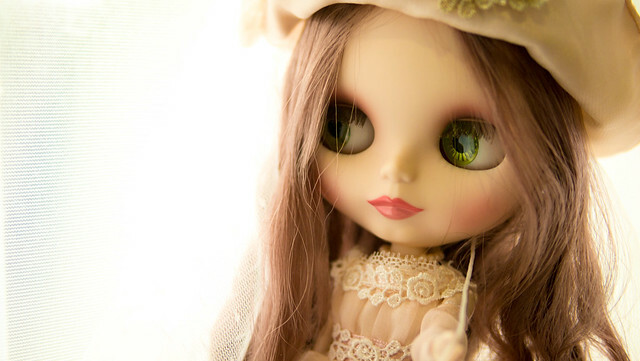 I think they round out the shape of a Blythe wonderfully and makes them just that extra bit cuter. Recently I received two new hats by Chilly – she made them in a week and shipped them quite fast. They’re excellent quality and remind me a lot of the hats that Kiyomi, Secomi and Dalcomi wear (same material). Here is Gumji modelling the white lamb hat for us! I got to work on my Yeolume Blackberry over the weekend. I’ve been growing fonder and fonder of her recently. Her wig, as mentioned before is absolutely amazing, but her faceup was crooked, and I really wanted to give her a new look. So, I embarked again on a customising adventure.